BNC to RCA Cable for Composite Video - 6 ft. 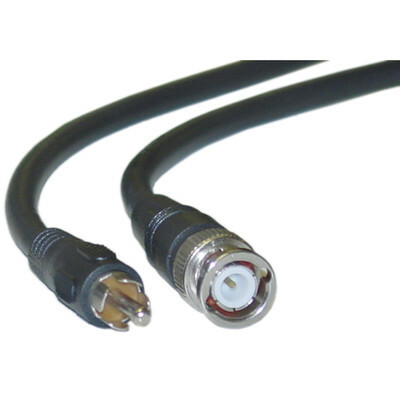 The RCA/BNC composite cable is an inexpensive coax cable for use with CCTV monitors, sequencers, and other analog video sources. This 6-foot CVBS cable has BNC and RCA male plugs on either end that can run a signal conversion in either direction on compatible components. It is made of RG59U 22 AWG coax with a 75ohm rating and 95 percent braid shielding for better conductivity. Ideal for PAL and NTSC displays that use one BNC connection, this composite video BNC cable has a lifetime warranty. The cable is what I needed and is working well.